British Athletics have selected six athletes and alumni of St Mary’s University, Twickenham to compete at the European Cross Country Championships (ECCC) in Slovakia this weekend. The Endurance Performance and Coaching Centre (EPACC) athletes will represent Great Britain at the championships which will take place in the Slovakian town of Samorin on Sunday. Alumna Steph Twell will compete against Emelia Gorecka in the Senior Women category. Steph represented Team GB at various distances at the Olympic Games in Rio in 2016 and Beijing in 2008 as well as this year’s World Championships in London while Emelia ran 5000m at both the European Championships and Commonwealth Games in 2014. 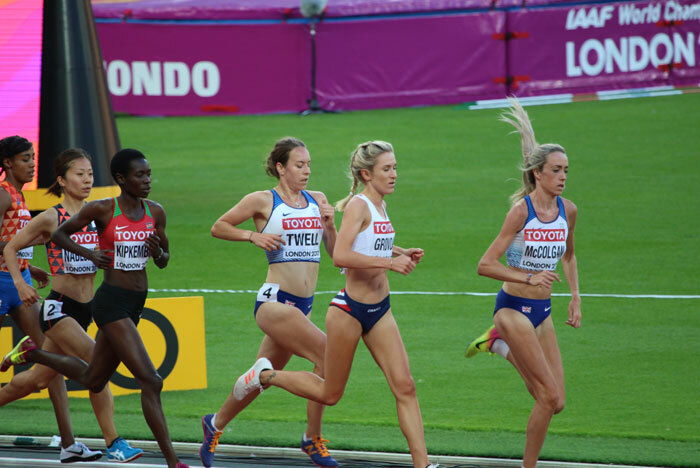 First year Sports Science student Phoebe Law will compete in the U23 Women’s race after finishing fourth in the Women’s 10,000m at the European U23 Championships in Poland. She will face Philippa Bowden, who finished eighth in that race, and will be representing GB at cross country for the first time. Daniel Jarvis, who is studying Sports Science at St Mary’s, finished 12th in the 3000m steeplechase when representing GB at the European U23 Championships, and will take part in the U23 Men’s event alongside alumnus Jack Rowe who ran the 10,000m at the European U20 Championships for GB in Sweden in 2015.